I thought I’d share a childhood vacation memory with you today. I recently framed a couple postcards that show some places where my family vacationed when I was little. 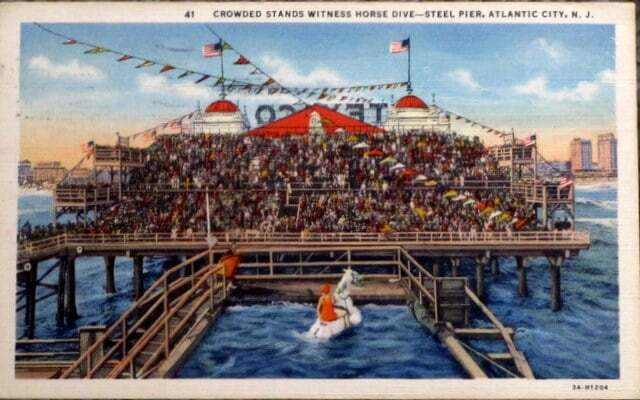 My favorite depicts the diving horse at the Steel Pier in Atlantic City. Now I would have visited in the 1960’s, but 60’s postcards aren’t as pretty as the older ones, so I went on ebay and bought this linen one postmarked 1936 for my collection. I remember sitting in the stands watching this act when I was about 5 years old. A horse would run up this big ramp and a girl would jump on his back and then they would both dive into a big tank of water. For some reason this has always meant Atlantic City to me. I remember nothing about the beach, very little about the boardwalk, but I can remember that horse. It was fascinating to a five year old. The horse diving act was a staple at Atlantic City from the 1920’s until 1978. Remember this was prior to gambling in Atlantic City and they had all sorts of acts to attract people. Maybe this is where The Jersey Shore kids started. Off topic – I think postcard artists are some of the most underrated artists of their time. There’s an amazing amount of detail and work put into a postcard that probably sold for a couple cents. Really off topic – Texaco must have been a sponsor. Here’s a real photo of the horse diving. The angle that they are going to hit the water at looks like it would hurt. I guess you have to go in at the same type of angle as you would if you were diving just by yourself. You wouldn’t want to do a belly flop. 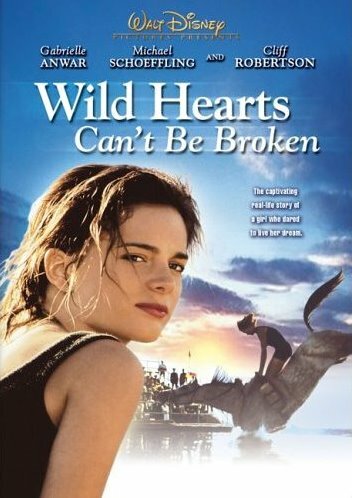 There was a 1991 Disney movie called Wild Hearts Can’t Be Broken made about one of the first horse diving girls, Senora Webster Carver. 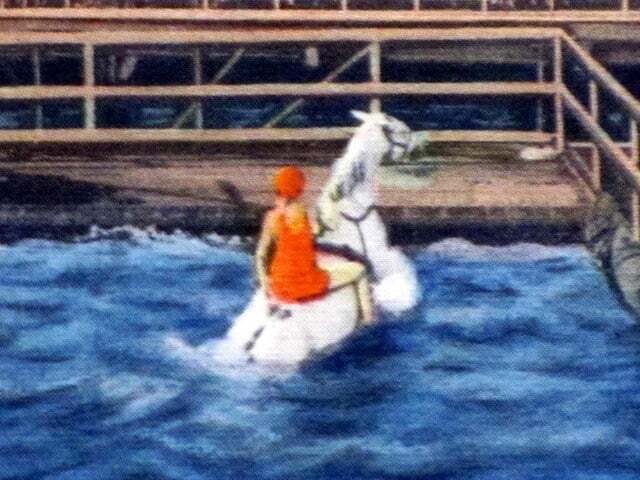 She started diving in 1924, but in 1931 she and her horse hit the water incorrectly and she became blind from the impact. And she continued to dive with the horses for another ten years after that! Blind and jumping off a 60 foot platform into a little tank of water on the back of a horse. That’s inspirational. Or not so smart. Not sure which. 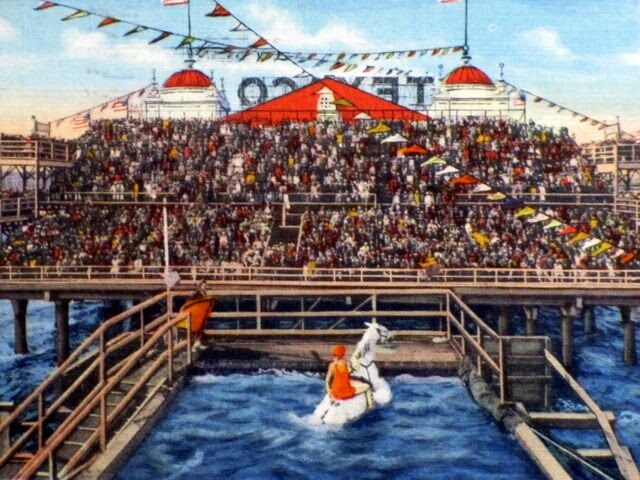 I’m sure this type of thing would never be allowed to happen now days since I’m not sure the horses were willing participants in the dive. Where was PETA in the 20’s? Although in Senora Webster Carver’s autobiography she insists that the horses loved to jump and were not forced to do it. Another plus to this movie is that her husband is played by Michael Schoeffling who also played Jake Ryan (Molly Ringwald’s crush) in Sixteen Candles. 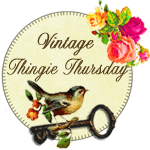 I am participating in Colorado Lady’s Vintage Thingie Thursday. 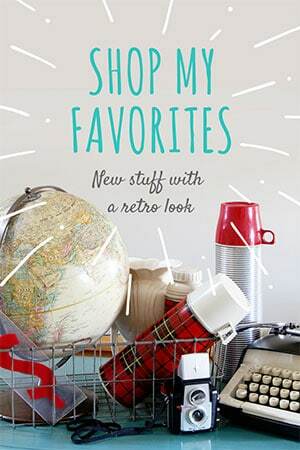 Check out her blog for other vintage items. Lovely postcard and a fascinating post. I’ve never heard anything like it! I remember when this movie was out, but I had never actually watched it. I might have just to look at Michael Schoeffling ( love him!!!)….hahaha! I bet that was some sight; watching the diving horses! It’s a beautiful post card too; so colorful and lovely. I never knew this was done in Atlantic City! It does sound like a dangerous act of both horse and rider. Your postcard is very wonderful in it’s detail and colors. I never knew about the diving horses—wow! That is such an interesting history tidbit! I’ve never heard of the diving horses, but I do remember hearing the name of that movie. Perhaps it will be a summer vacation rental with the kids! Happy VTT! 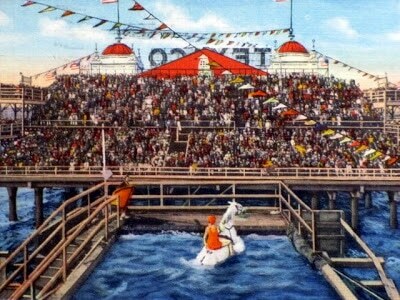 I have a lot of postcards, but no diving horses. I’m going to look for one! That’s so interesting. 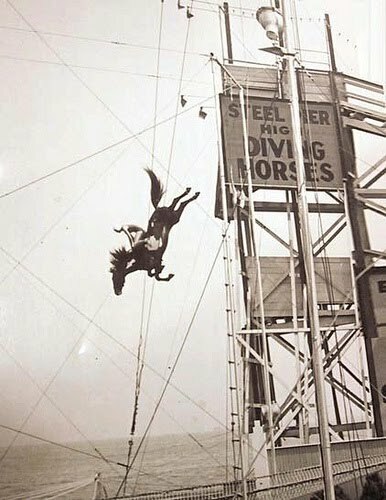 I didn’t know about diving horses before, and the movie looks like it’d be a good one too. Thanks for coming by for a visit, and for the nice compliment. I like your blog too! That’s really interesting; I hadn’t heard of horse diving before! What a great keepsake! And a fun and interesting post! I have my doubts as to horses loving making that dive, but from jumping events I have seen (up and over, not off a cliff or platform) if a horse does not feel safe he generally won’t jump. I need to take a fresh look at my postcard collection. It is being wasted in storage for now. I love vintage postcards especially ones from places I have been as a child. Oh.my.goodness! That real photo is crazy! I didn’t really get it looking at the postcard…that real photo is incredible! I have to ask DH about this-he grew up in Atlantic City! That’s for the tip about the movie. That is amazing! I’m always worried about the horse…. Horse diving! Looks very dangerous…for the horse and the rider. Pretty amazing that you got to witness this! 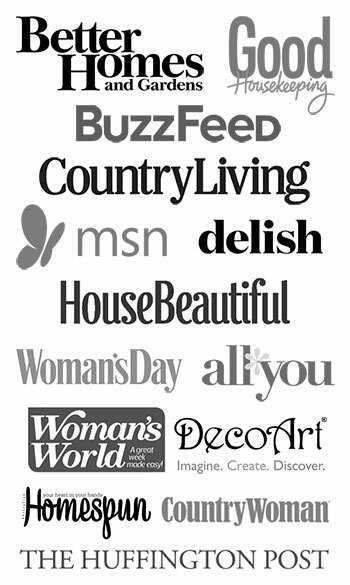 Thanks for stopping by my blog on VTT! Hope you get a chance to vote! What a difference time does make. I recall these times. They are not the same today. Horse diving…imagine!!! I saw that movie too, it was good. Have a great VTT! I love your vintage postcard and the real photo is amazing! I can see why it made such an impact on you when you were small. It’s fun and quaint to look back at some of the wild things people used to do but then I’m also glad we live in different times – I feel so bad for the horses and other animals. Fantastic post!! I love the postcard. Interesting information about the divers, although the whole thing makes me queasy, but all hights do that to me 🙂 I never saw that movie, but Michael Schoeffling was quite the hottie.